Fairway live casino - 03/02/2019 Fairway Casino has closed. Bonus: For details of the latest promotion visit the Fairway website. 03/02/2019 – I’m sorry to announce that Fairway Casino went out of business and has closed it’s online casino. I’m sorry to announce that Fairway Casino went out of business and has closed it’s online casino. If you want to play Visionary iGaming Live Casino Games you could try BetBit Casino. 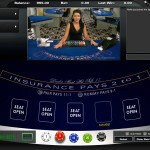 Fairway Live Casino are one of a few casinos that offer Free play at the live casino tables. I’m glad they offer this facility as it gave me an opportunity to test out some games and review the Visionary iGaming software which I may not have otherwise done. 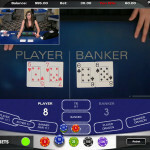 I also thought it would be a good to offer this facility on my live casino comparison site so that others looking for free play could find somewhere easily. So here’s my review of the Fairway live casino. It’s worth skimming through as I hope I’ve captured the essence of this casino, as it has a different feel from its European-based counterparts. 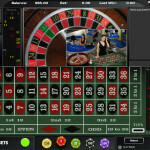 Fairway’s Live Casino games are provided by Visionary iGaming, who have a studio in San Jose, Costa Rica. You’ve got the choice of three games. Roulette comes in two versions, American with double zero and European with single zero. Baccarat has two versions. One is the basic game and the other is Super 6 that comes with additional side bets. 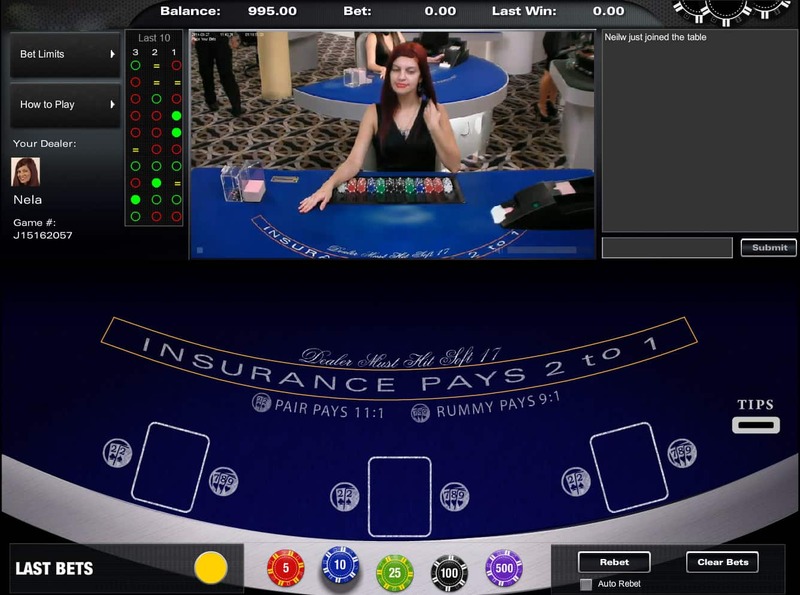 Blackjack is provided in three formats. Early Payout, this is a 3 handed game, where an unlimited number of people can play each hand. You’re able to play 21+3 and Perfect Pairs side bets. There is also the ability to take an early payout before the game round is completed. 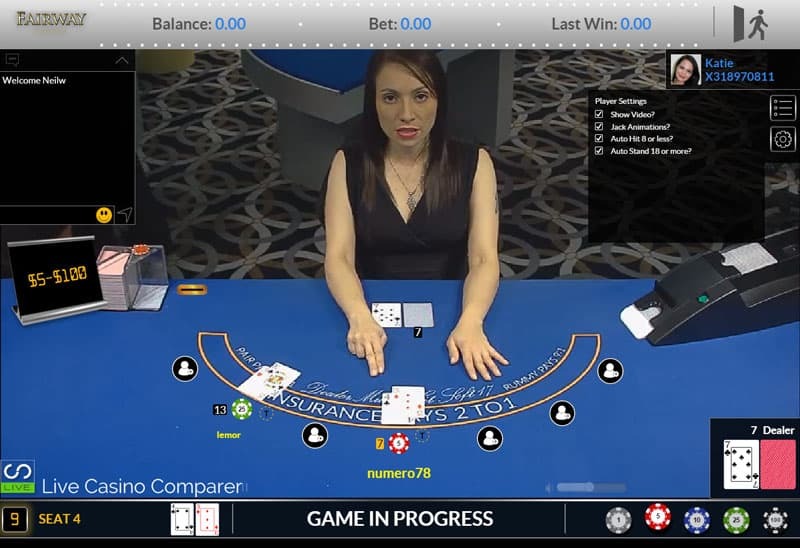 The payout is calculated by the computer, so if you have a dodgy hand against a strong dealers hand it might be worth taking. HD 7 Seat Blackjack – This game also has side bets and bet behind and you can Surrender your hand at any point for half your initial stake back. All version of Blackjack are played with six decks and you can double on anything including splits. There’s a more detailed review of the Visionary iGaming Blackjack here. There was a period of time where you could just go to the site and play the demo games without registering, but this facility has recently been removed. You now need to register an account. No deposit is needed, you’re given a demo balance and away you go. You can play any of the live games and you’ll be sitting alongside real money players when you do so. I was initially put off by the general presentation of the casino, as it’s a bit different from other live casinos I’ve played at. But as I’ve played here more often I’ve become more comfortable with the software and surroundings and actually started to enjoy myself. The live dealing room is noisy, music is being constantly played in the background and if you look closely at some of the dealers they are actually dancing on the spot, lol! You’ll also notice that every now and again the sound of clapping breaks out in the room. This is to acknowledge when a tip is being received and adds to the general air of fun in the dealing room. I don’t think it would suit players who like peace and quiet when they’re playing, so if you’re after something quieter then try one of the casinos at BetVictor or Leo Vegas. English and Spanish are spoken by all the dealers. 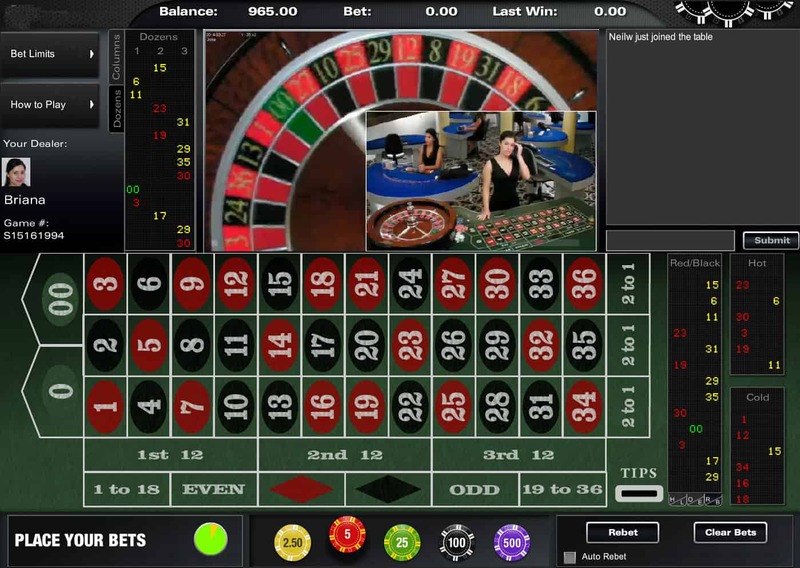 Depending on your preference you can play on a dedicated Spanish speaking roulette table (available between 8:30 pm – 05:00 am GMT) or stick to the English speaking ones. 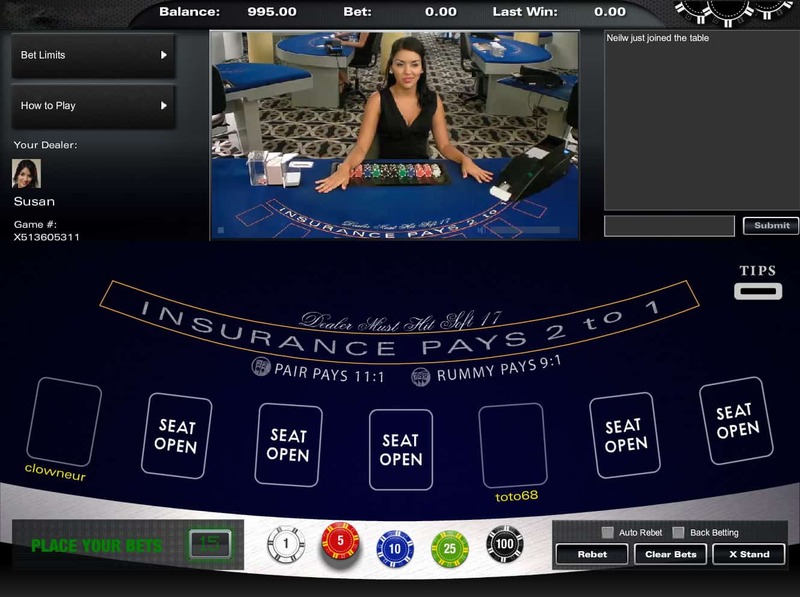 The underlying software is provided by Visionary iGaming and is innovative on three levels. Firstly they offer free demo play on all their games. This is such a positive for me as you get to try before you buy. It has the added advantage of allowing you to learn how to play and experiment with bets etc. Secondly they offer a version of blackjack called “early payout”, where the value of your hand against the dealer is calculated after each card is dealt to you. You then have the option to cash in your hand before it is completed. The playing interfaces are a bit dated, especially when compared with the software of Evolution or Playtech. 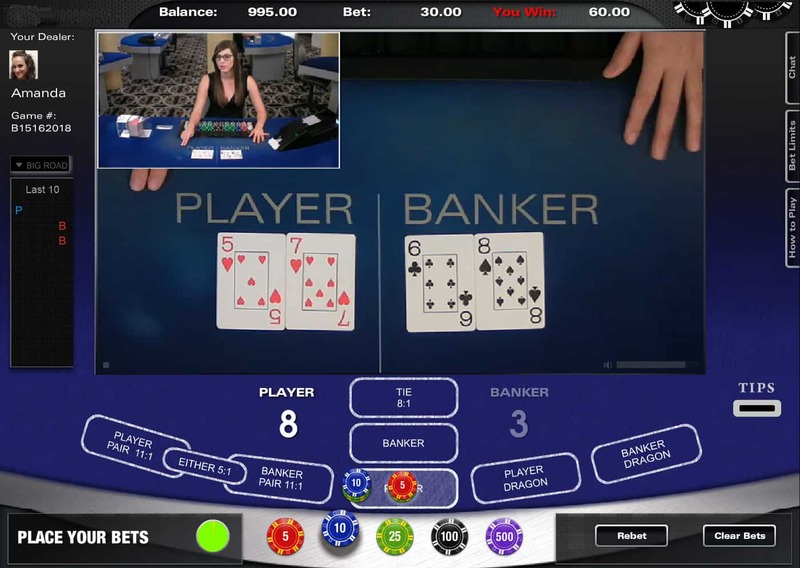 The HD Blackjack is a step in the right direction, but most of the games have just one viewing mode, where you have the video of the dealer and real table inset into a software generated interface. Fairway offers the following payment options, Clickandbuy, Delta, ECO Card, Maestro, MasterCard, Neteller, Paysafecard, Skrill, Solo, Switch, Visa Credit and Visa Electron. They also offer two currencies, Euros and GBP. They also offer two currencies, Euros and GBP. The casino is registered in Costa Rica as opposed to being licensed, which means that they are effectively self-regulated. My research across the internet, in the forums and my interactions with the casino, suggest that they are a reputable outfit. The website has recently been refreshed and they have a very active Facebook page. 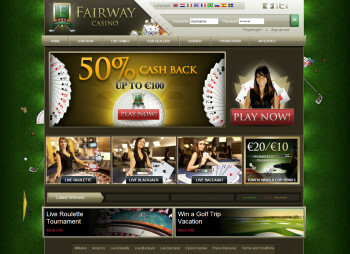 Fairway is actually owned by Visionary iGaming who develop the software that the casino uses. 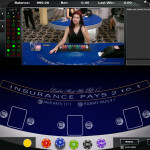 You’ll also find many other casinos using their software, so they are underpinned by a known and industry respected company. I actually visited the studio of Visionary iGaming in Costa Rica in 2017 and you can read about my experiences here. Fairway offers players incentives to play, like signup bonuses and promotions. For details of the latest offers visit the Fairway promotions page. 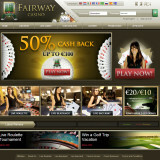 Fairway also offers players regular Roulette Tournaments and there are some good cash prizes with these. Just keep an eye on my live casino promotions page for when the next one comes up. Online support is available by Email and Live Chat. Definitely use Fairway Live Casino for their free play, as it’s invaluable in learning how to play at a live casino. I like playing here due to the atmosphere and the variety of gameplay. The other great thing for advantage blackjack players is they have Blackjack with Early Payout. This reduces the house edge slightly which means you’re more likely to keep your bankroll for a bit longer than normal. That with all the side bets you could want keeps me playing here. I’ve not experienced or heard of any problems when playing here, but as I monitor the forums I will update the review if I come across anything. If you’re in any doubt test it out for yourself to see what I mean.